Sunday, December 20, marked the 10th anniversary of Judge John Jones’ decision in the landmark Kitzmiller vs. Dover Area School District case, better known as the court case that finally put intelligent design (ID) creationism on trial. In this week’s eSkeptic, Donald R. Prothero recounts details from that momentous case and its aftermath in the battle between creationism and evolution. 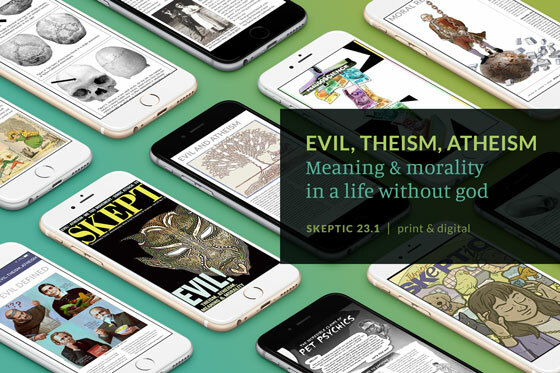 Skeptic magazine 20.4, available now in print and digital editions, features an excerpt from Robert Trivers’ memoir, Wild Life: Adventures of an Evolutionary Biologist. Unlike other renowned scientists, Robert Trivers has spent time behind bars, drove a getaway car for Huey P. Newton, and founded an armed group in Jamaica to protect gay men from mob violence. 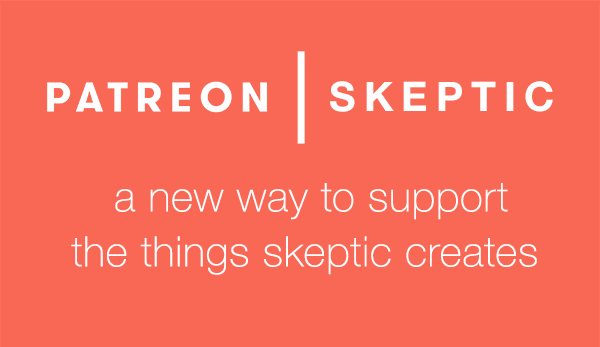 Learn more in the new issue of Skeptic magazine! David Priess reviews Red Team: How To Succeed by Thinking Like the Enemy by Micah Zenko. November 25th: SAVE 25% Now Thru Cyber Monday! It’s our best sale of the year, on now through Cyber Monday. SAVE 25% on everything at Shop Skeptic, including: books, science lecture DVDs, clothing and other cool swag, like t-shirts and hoodies, stickers, lapel pins, Skeptic magazine subscriptions and back issues, as well as Skeptic eGift Certificates. 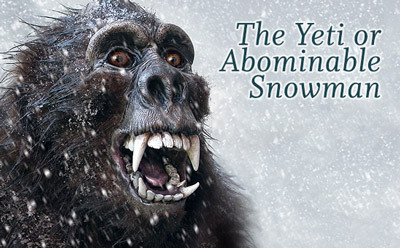 Skeptic digital subscriptions and digital back issues are also on sale via PocketMags.com. Sale ends November 30, 2015 at 23:59:59 Pacific Time. Can venting angrily on the Internet lead to heart disease? In this week’s eSkeptic, Carol Tavris discusses some research that points to a significant correlation between our negative language patterns (such as anger, hatred, and aggression) and health risks such as heart disease. The “God” Contruct debate continues. Richard Grigg explains why he thinks Douglas Navarick’s response to his essay contains serial violations of the scientific worldview. How is it that naïve intuitions can survive the acquisition of contradictory scientific knowledge? Andrew Shtulman discusses the psychological concepts of knowledge enrichment and conceptual change, inquiring into why it is so difficult for scientific knowledge to take root, and whether scientific knowledge can overwrite deep-seated forms of intuition. Richard Grigg explains why he thinks Douglas Navarick’s empirical God-hypothesis fails. October 21st: Guns in the U.S.
October 14th: Ben Carson: Brain Surgeon—or Brain Addled? October 7th: Do We Need God? On September 30, 2015, Michael Shermer and Larry Taunton debated the question “Do We Need God?”. The debate will eventually be posted online for viewing. In the meantime, in this week’s eSkeptic, we present Michael Shermer’s notes for the debate. Michael did not have time to cover the morality of the New Testament (compared to the Old) but we include his notes here nonetheless in case readers would like to use this material. Much of it comes from his book The Moral Arc. Dave E. Matson critiques Douglas J. Navarick’s article “The ‘God’ Construct: A Testable Hypothesis for Unifying Science and Theology,” which appeared in Skeptic magazine 20.3 (2015). Following Matson’s challenge, Navarick responds. Harriet Hall examines the statements about vaccines made by four candidates in the recent GOP debate. They all demonstrated a poor grasp of vaccine science, and advocated delays in the vaccine schedule that would represent a danger to the young, the immunocompromised, and to the herd immunity that is a mainstay of our public health. Ebola is exotic, deadly, and has no known treatment. It is not surprising that the recent outbreak has caused an epidemic of fear. When fear takes hold, rational thought flies out the window. We want to believe, need to believe, that we can protect ourselves from Ebola. Quacks and charlatans come out of the In this week’s eSkeptic, we present Harriet Hall’s column, “The SkepDoc,” from Skeptic magazine 20.1 (2015) in which she discusses the quackery known as colloidal silver, now being promoted as a cure for Ebola. September 9th: Forensic Pseudoscience: Can Tests be Trusted? Stephen Beckner reviews Joshua Oppenheimer’s documentary film The Look of Silence, produced by Signe Byrge, Executive Producers Werner Herzog, Errol Morris, Andre Singer Sørensen, Presented by Drafthouse Films, Participant Media, and Final Cut For Real. Harriet Hall reviews The Myth of Mirror Neurons: The Real Neuroscience of Communication and Cognition, by Gregory Hickok. This review first appeared on the Science-Based Medicine Blog and also in Skeptic magazine 20.2 (2015). Paulette Cooper could be called the poster child for Scientology’s “fair game” abuses against a critical journalist. The story has been told many times with varying levels of detail, in most books about the history of Scientology written in the past four decades. But the story has, until now, been incomplete. 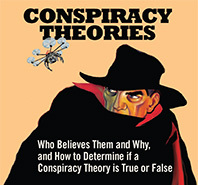 In this week’s eSkeptic, Jim Lippard reviews Tony Ortega’s comprehensive account of Paulette Cooper’s story. The Unbreakable Miss Lovely: How the Church of Scientology Tried to Destroy Paulette Cooper. August 5th: Quantum Cure-All or Quackery? Modern-day mystics have at their disposal a vast and ever-growing arsenal of scientific vocabulary, and employ it liberally in arguing for such practices as quantum healing and energy medicine, variants of which have in recent decades grown into billion dollar industries, supported by millions of consumers. Surely that many people can’t be wrong, can they? In this week’s eSkeptic, Jérémie Harris examines some of the vocabulary often invoked by mystics in the quantum healing community, and contrasts their usage of that vocabulary with current scientific definitions. This article appeared Skeptic magazine 20.1 in 2015. July 29th: Are We All Potentially Evil? Are We All Potentially Evil? A new dramatic film based on the Stanford Prison Experiment reveals why good people turn bad. In this week’s eSkeptic, Michael Shermer discusses the film, the original experiment by Philip Zimbardo, and the triad of general principles behind evil posited by Zimbardo: the Person, the Situation, and the System. 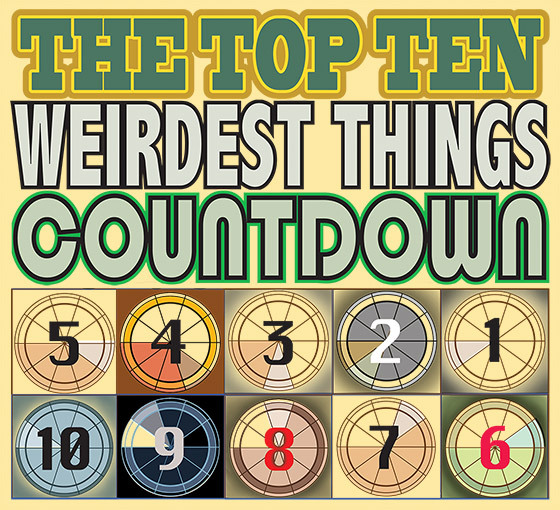 Have you ever gone cow tipping, or do you know someone who says they have? Where in the world did this strange idea come from? In this week’s eSkeptic, Pat Linse examines the surprising origins of cow tipping. This article was originally published in Skeptic magazine 20.1 (2015). Have you ever questioned your faith, or worried about what life would be like without it, or do you know someone who has? Have you ever wrestled with issues of how to replace religious practices and ideas with secular ones. In this week’s eSkeptic, Donald Prothero reviews Living the Secular Life: New Answers to Old Questions: a book by Phil Zuckerman. Over the weekend of May 29–31 skeptics listened to talks by world-class scientists and scholars (such as Richard Dawkins and Lawrence Krauss), were dazzled and amazed by the brilliant magician and skeptical activist Jamy Ian Swiss (one of the world’s top magicians, who taught spectators how to avoid being fooled), were joined by mega movie star Johnny Depp and his wife (actress Amber Heard), rocked out to a live performance by Las Vegas headliner Frankie Moreno and his band, toured the San Andreas Fault with Donald Prothero, and marveled at the 100-inch telescope that Edwin Hubble used to discover the expanding universe. William M. London reviews the Skeptics Society Conference on the Future of Science and Humanity that took place at Caltech May 29–31, 2015. Are the greatest artists, musicians, and writers melancholic, bipolar, alcoholic, drug addicted, schizophrenic, autistic, or disordered in other ways? How can we know, with any degree of certainty, whether creativity and mental illness are related? In this week’s eSkeptic, Dr. Carol Tavris takes a look at the persistent myth of the mad genius. This article appeared in Skeptic magazine 20.1 (2015). With 39 lectures to choose from currently, our Summer Sale subscription rate of $39 on Vimeo On Demand means you only pay $1 per lecture, and you’ll have a full year to watch them all! Or, pay only $1.95 per lecture, and choose only the ones you want to see. We are pleased to present this skeptical classic: an interview with a co-founder of modern skepticism: Ray Hyman. This interview first appeared in Skeptic magazine 6.2, back in 1998. Russell Friedman—skeptic, colleague, and friend of Michael Shermer—writes in response to Shermer’s article on the gay rights revolution. Friedman recounts his experience opening the first gay bar in Los Angeles with windows that faced the street, a big deal at the time as gays were still in the closet and all such public venues were hidden to the public and you had to know where to go to get in. In this week’s eSkeptic, Glenn Branch reviews Why Science Does Not Disprove God, by Amir D. Aczel. This review was published in Skeptic magazine 20.1 (2015). In this week’s eSkeptic, John E. Buckner V and Rebecca A. Buckner discuss compartmentalization and conformity as possible socio-psychological mechanisms that might explain how individuals, through education, can decrease their paranormal/supernatural beliefs without improving their critical thinking skills. This commentary is a response to McCaffree and Saide’s article, “Why is Critical Thinking So Hard to Teach?” published in eSkeptic a few week’s ago and in Skeptic magazine 19.4 (2014). April 8th: Can Science Determine Moral Values? April 1st: Is Scientology a Cult? On the heals of Sunday’s HBO documentary film by Alex Gibney, Going Clear, in this week’s eSkeptic we present an article by Dr. Michael Shermer from Skeptic magazine 17.1 on the cult-like nature of Scientology. March 25th: Why is Critical Thinking so Hard to Teach? Kevin Mccaffree and Anondah Saide present a meta-analysis of peer-reviewed empirical studies that evaluate the success of teaching critical thinking strategies in the classroom. In addition, they discuss some reasons for the limited impact of these strategies. March 18th: What Does “Supernatural” Mean, Anyway? Phenylalanine, butyric acid, methionine, sodium tripolyphosphate, 2-methylbutyl ethanoate, pentyl acetate, monosodium glutamate… What are all these long, hard-to-pronounce chemicals listed on food labels? Should we avoid them? 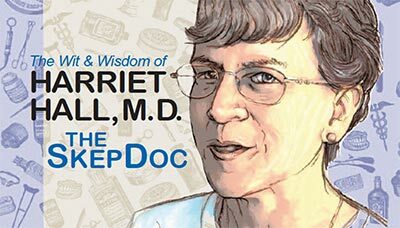 In this week’s eSkeptic, Harriet Hall, M.D. 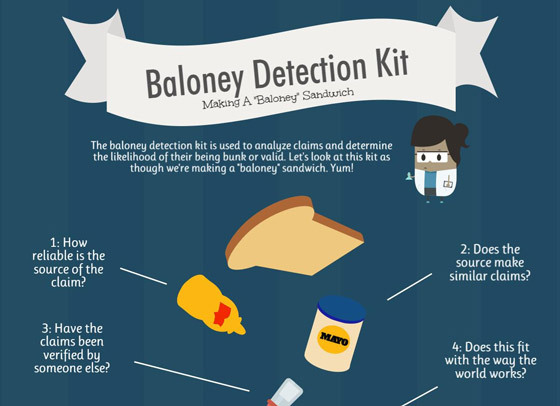 decodes the preservatives, coloring, and taste-enhancers in food. We are thrilled to announce that the world’s most famous evolutionary biologist and atheist activist Richard Dawkins will be participating in the Skeptics Society’s annual conference at Caltech Friday–Sunday May 29–31, joining our galaxy of science stars Jared Diamond, Lawrence Krauss, Esther Dyson, John McWhorter, Ian Morris, Carol Tavris, Greg Benford, David Brin, & Donald Prothero. Gary Whittenberger examines Miklos Jako’s “Soft Theism" God postulated in Jako’s article “In Defense of Soft Theism,” which appeared in Skeptic Magazine 19.2 (2014). Whittenberger argues that, when considering the origins of existence, we don’t need to step outside the boundaries of science. January 14th: Charlie Hebdo: Why Islam, Again? Michael Shermer discusses race relations and the law in America through the lens of Max Weber’s 1919 theory on “legitimate use of physical force.” A slightly different version of this OpEd was originally published at Time.com on December 23, 2014.